Turkish Airlines have upped the ante in their latest air-safety video by featuring the cast of The Lego Movie 2. This recreation of a Cape Town rugby match took 24,000 Lego minifigures. Is this the greatest air safety video ever produced? Turkish Airlines have produced an in-fight air safety video starring all of the characters of The Lego Movie 2. The video stars Emmet, Lucy, Unikitty and new star Queen Whatevra, plus a host of favourites going through the in-fight routine while visiting many of the destinations that Turkish Airlines flies, including Rome, South Africa, San Francisco, Tokyo and more. The whole clip is hilariously directed by Lego Batman, who in one scene forces Lucy to wear a pink Bat-outfit. 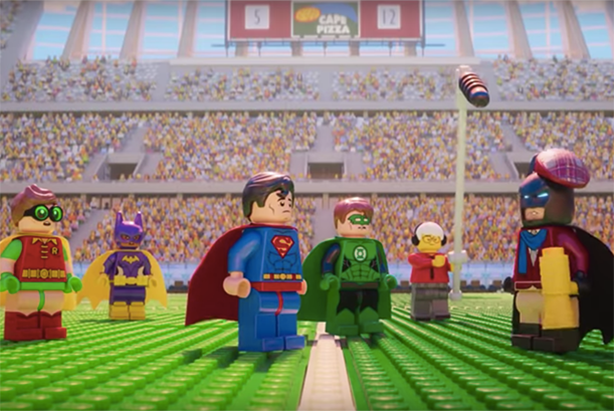 There are cameos and wisecracks from other Lego superheroes throughout the clip. It’s not the first time the airline has used the Lego Movie franchise to promote safety to its passengers. In August 2018, it debuted its first passenger safety video inspired by the Lego Movie franchise. That video was so good it topped the viral charts, with 20 million views in just one month, and claimed gold at the 2018 Clio Entertainment Awards. Production on The Lego Movie 2 safety video lasted 979 hours and the creative process involved 400 people, including 252 extras. It features 24,000 Lego minifigures in the crowd for the Super Hero Cape Town match and 20,330,795 Lego bricks used to build all the locations. This is ten times the amount of bricks used in the first Lego Movie-themed safety video, and PRWeek reckons the extra effort and cost was worth it. But is it the greatest safety video of all time? Air New Zealand might have something to say about that. Over many years the airline it has produced epic and hilarious safety videos starring rapping All Blacks, characters from the Hobbit and Bear Grylls. The Lego Movie 2 safety video will premiere in a Turkish Airlines flight on 1 March.